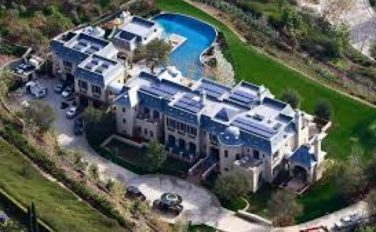 SAN FRANCISCO — California utility regulators approved payments for excess rooftop solar generation yesterday but warned that solar customers are getting more than their share of benefits compared to other ratepayers. The California Public Utilities Commission’s 3-2 decision largely preserves the current structure of the state’s net-metering regulation, which pays solar customers retail rates for the electricity they send back to the grid. The closely watched decision likely will allow the explosive growth of rooftop solar in California to continue, although it also requires net-metering customers to switch to time-of-use electricity rates that vary according to demand. It also imposes an interconnection fee of $75 to $150 and adds fixed charges of about $8 to $9 per month for residential customers. Commission President Michael Picker released a revised decision late Wednesday that cheered solar companies further but alienated ratepayer advocates and two out of five of the commissioners. The revision specified that rooftop solar customers do not have to pay transmission charges, one of the fixed costs of providing electricity that utilities have been arguing get pushed onto non-solar customers. Solar company representatives visibly relaxed when Commissioner Carla Peterman said she would support the proposal, making her the third vote in favor, alongside Picker and Commissioner Liane Randolph. “This is a big deal,” said Walker Wright, director of public policy at Sunrun, one of the country’s largest solar installation companies, which has been at the forefront of policy battles in Nevada, Arizona and other states. “California is sending a signal that net metering will continue as the most important policy stable for rooftop solar.” Charging NEM customers for transmission costs would have increased their bills by $7 to $9 per month for an average-sized system, he said. While solar advocates sought to paint the decision as a rebuke to regulators in other states — including Nevada, which last month revised its NEM program to pay solar customers the wholesale electricity rate rather than the retail rate — Florio cautioned against forcing California’s regulations into a national narrative (EnergyWire, Jan. 28). Bernadette Del Chiaro, executive director of the California Solar Energy Industries Association, said the decision could boost protection of net metering beyond the Golden State. Regulators, utilities and solar advocates in many states are wrestling over the future of net metering, which she described as the “the key policy for any kind of distributed generation.” Del Chiaro said the challenges to NEM follow a 2013 report from the Edison Electric Institute that warned about the “death spiral” for utilities that could be created by more customers adding distributed generation. “That sort of launched the beginning of a multi-state effort in which utilities put net metering in the crosshairs,” she said. Rooftop solar companies are also on the ropes in Hawaii, where the state Public Utilities Commission last October eliminated the existing version of net metering for new rooftop solar installations in favor of two new programs, one of which pays exporters about 60 percent of their current rebate and one of which doesn’t pay for grid exports at all. Solar advocates in both Nevada and Hawaii say the actions have caused a dramatic decline in solar adoption, which has hurt solar companies and led to layoffs. And in Arizona, solar advocates are fighting an uphill battle against the Arizona Public Service Co., which in 2013 added a 70-cent-per-kilowatt capacity charge for solar owners with net metering — about $4.90 a month for a typical customer. The Arizona Corporation Commission now has before it an APS proposal to add a $21 grid access fee for rooftop solar users. California’s large investor-owned utilities, which had lobbied against Picker’s proposal in favor of much lower net-metering payments and higher fixed charges, put out statements criticizing the decision. San Diego Gas & Electric took the most strident tone, accusing the CPUC of ignoring the direction of the 2013 law that directed it to re-examine net metering, A.B. 327. Correction: In 2013, the Arizona Public Service Co. added a 70-cent-per-kilowatt capacity charge for solar owners with net metering. An earlier version of this story contained an incorrect year.